And I’ll keep it after death. The last time I lost someone significant, I immediately found myself reading into the atmosphere—thundery, grey overcast sky, rain—that was too like a movie setting to be real. I spent moments alone in the driveway, feeling the rain move in before I allowed myself to hear my mother asking me to come inside where my aunt had been spending her final days. I immediately wanted so badly to read the whole of it like a poem, prematurely eulogizing from the weight of the grey world. Florist’s breezy acoustics are overlaid with raw lyrics exploring death in a setting that feels like an open meadow: calm and natural with the possibility for loneliness. Not quite grey, but varying blues. Sprague brilliantly crafts an album of feeling out our connections to natural landscapes and the people who have existed (and continue to exist, in memory) in those spaces. Memory has a stronghold on each track, lending an air of longing and heartache, “’Cause I only love you more / when I’m looking for home.” There is longing, desire, lack, loss, and the fidgeting discomfort of aftermath all as subject matter—none of which is felt in the twinkling synths and cradling chimes layered atop Sprague’s quiet guitar. Feeling is necessary, and therefore handled with the utmost care, facilitated in music that holds you. “Glowing Brightly” sways, floating in omniscience. Exploration of place is central to the piece, picking you up and transporting you to grand and tiny moments through what Sprague displays as pointed memories. Spacey percussion in “Understanding Light” brings you to a deep mental place that fluctuates between images and memories, turning “blueness” into a physical space, stringing you along a wire of bobbing acoustic guitar. “Thank You Light” is a respite, and you can feel the sigh of the album embedded in this track before delving into the curiosity and heart-aching repetition of “If blue could be happiness, then that’s all I’d want,” on the title track. The soft watercolor of blue is a backdrop throughout, welcoming listeners to feel fully. What is blue if not omniscient, quiet, somber, and open? There is something attractive about blue despite its melancholy, which Sprague thumbs the possibilities of in their lilting and bare vocals. We see the violet of love; “the blue that always takes me home;” the ache of not being able to transcend the album title’s “what if” with the yearning for a bona fide happiness; a light that moves from yellow to blue as time passes. Why can’t I find a place to hide from the darkness? I want to live in the blueness. 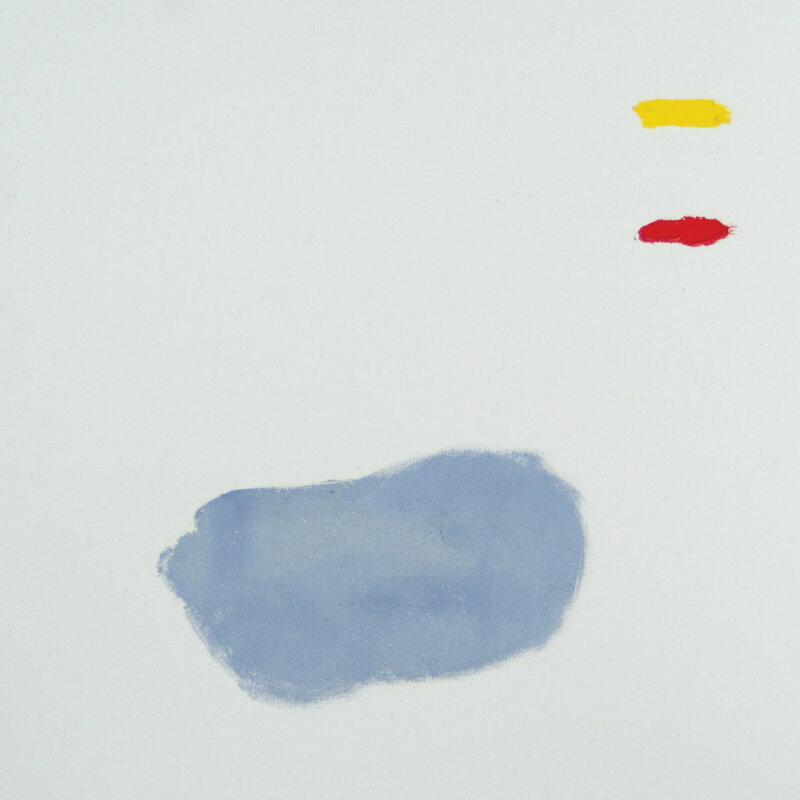 Sprague crafts the perfect musical companion to author and poet Maggie Nelson’s “Bluets,” exploring associations we have with color—specifically blue, saturated with the notion of sadness. How else can blue make you feel, and, further, how can we explore color in words and sounds? If Blue Could Be Happiness embodies art’s companionship, feeling as if you are hearing and being heard all at once. Its sounds are contemplative and sweet—its lines could be spoken to you through sustained eye contact, though you know you are not the one being addressed. It is a longing for home, and the building of a shelter. For an unusually warm autumn, Florist brings us a soothing album that accepts and celebrates warmth where it’s unexpected. The album’s “if” is the hope in the exploration; how to construct a happiness around blueness, and how to mourn with every shade: from sun beams to dark greys. Do you want to join the road of my life?